Ever since humans began to walk the earth, life has essentially been one consecutive land grab after another. Such ambitions have created empires and conflicts around the world for centuries. The concept of manifest destiny is alive and well, whether cloaked in religion or patriotism. Make no mistake, there are interests that would like to overthrow the U.S. government and it’s constitution. Not for ideology or nationalism, but for wealth transfer and economic power. Not all of these threats are foreign. Unfortunately, the days of free-market capitalism are all but dead. It’s been replaced by favoritism and corruption. The days of explosive growth are gone in most industries. The deconstruction of nations is the new gold rush. Economic models built on population growth are doomed. Public property and public tax bases are now under assault like never before because they are easy targets for fascists. Public servants are helping the looters by blocking the door and creating diversions away from the plundering made possible by treason. They are helping nations rack up massive debts, while thrusting them into mass dysfunction. Crises are very profitable for those who have lost their moral and patriotic compass. It’s called crisis capitalism. Bankrupting nations is the modern way to overthrow governments and constitutions. 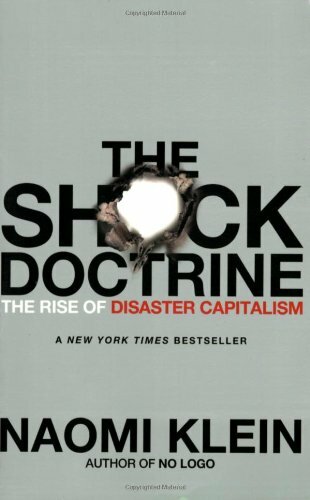 The playbook is called the Shock Doctrine: The Rise Of Disaster Capitalism. Author Naomi Klein profiled the roots of this neoconservative movement in her groundbreaking expose’. The subtitle alone helps make sense of all of the nonsense in the world. Nations are being thrust into crisis by public servants who are pretending to be deaf, dumb and blind. Unfortunately, it’s much more than just a profit deal. It’s a revolution that’s been paved with betrayal. Shocking events and violence are part of the equation. Sound familiar? As Klein explains, economic warfare is an effective way to overthrow nations and plunder resources. Why destroy property with bombs and bullets when you can use bankruptcy to eliminate constitutions and governments. Lawyers and bankers now dominate the battlefield as they implement schemes to bleed nations to death. Immoral leaders are leading their nations to slaughter. These traitors have been bought and paid for with dark money. Thanks to dark money, we don’t know which candidates and PACs are funded by foreign governments and terrorists. Dark money is nothing more than censorship, which has no place in a democracy. It’s now more possible than ever to put public servants in office to promote constitutional warfare. Their task is to pave the road to default, which will create a fire sale—a land grab—an enormous transfer of wealth. The nations that hold the bonds (China holds most of the U.S. debt) will plunder public property. There is a method to all of this madness. Such a default will nullify trillions of dollars in entitlements, including Social Security, Medicare, Medicaid, food stamps and oil subsidies. Companies will stop their retirement plans completely because the constitution will no longer protect anything. Public lands will be occupied. Water rights will transfer over night. Farms will be transferred into an authoritarian system. These shocking events serve private interests quite well. In the United States, we have a record debt right now. So-called leaders keep coming up with new ways to spend more on issues that are not priorities. Congress now gets a chance to default on the national debt every three months. They have the government operating on petty cash as we keep knocking on the debt ceiling. The default scenario is never too far away. As we are being pushed toward bankruptcy in the United States with the threat of expensive walls and the destruction of bridges that can lift people out of poverty, I don’t see the president talking about the national debt or institutional corruption. Both political parties are guilty of collusion. The Congressional Budget Office just announced the America’s debt will eclipse the national economy by 2031. 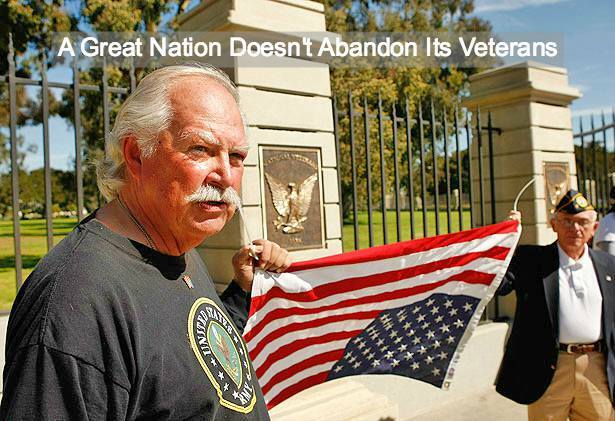 Our veterans are being abandoned on the streets and denied access to healthcare. The scandal is killing our war heroes, while government spends billions fighting endless phantoms in the Middle East. We tied the hands of public schools for years with a foolish concept called common core, which only enriched a foreign corporation and promoted the privatization of public schools. That’s right. Our school grounds have been a deliberate battleground. Such dysfunction has likely contributed to the violence in our public schools. Thankfully, common core has been exposed as a rotten deal. Those who sold it, sold out your children for the gains of a British company. Now, school choice is being lauded as a solution to the forced dysfunction. It’s just a false flag that will shift tax dollars to corporate-owned charter schools that will continue bleeding our nation to death. I don’t see a bigger wall as a priority when we need bridges out of poverty and access to healthcare for everyone. Until presidential candidates and all public servants start serving America instead of themselves, we are on a road to nowhere. Until the flag and the constitution represent liberty and justice for all, they represent nothing. Our war heroes and veterans didn’t make their sacrifices for some of us. They didn’t go to war to pave the road for liars, cheaters and traitors. It’s up to everyone to defend the constitution and the homeland from all threats. Unfortunately, we must guard against Trojan Horses even in the era of smart bombs and drones. Both elected and appointed officials in most countries are glorified crisis coordinators who are bleeding their nations to death for the enrichment of private interests (foreign and domestic). It’s really not a new or novel concept. It’s been going on for years, but the strategies and tactics have changed to keep ahead of weary and wary citizens who might resist. I don’t expect you to read such shocking accusations without proof. Therefore, I urge you to read Overthrow by New York Times reporter Stephen Kinzer. Then read the Shock Doctrine. Then tune in, stand up and speak out. As long as our constitution is alive, public opinion, citizen engagement and inclusion still matter. 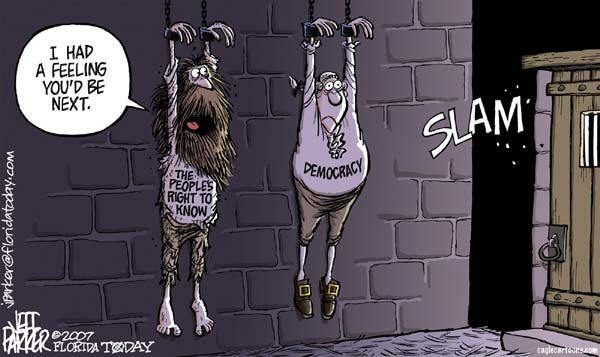 Our forefathers escaped a monarchy in pursuit of democracy. After the American Revolution, they established a constitution that assured the rights of citizens, while establishing checks and balances to prevent more tyranny and totalitarianism. The internal threats to democracy and free-market capitalism are real. Even former President Dwight Eisenhower warned the world about the abuses of government power for the benefit of individuals and the corporate world. As he said during his farewell speech in 1960, “Beware the military industrial complex.” He knew how industrialists influenced government for private gain before, during and after war. Unchecked, such corruption paves the road to fascism, terrorism and revolution.